Life insurance is very important, but knowing how much you need can be difficult. 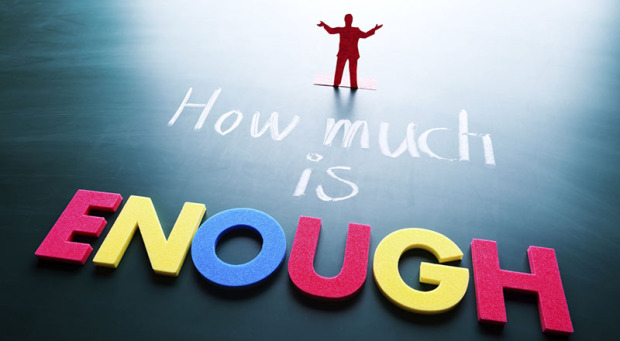 If you are having a dilemma regarding how much life insurance you need, you should ask yourself several questions. You need to make sure that you are getting the right type and amount of insurance. See to it that you compare the life insurance policies available to get the most suitable for you. First of all, you should find out whether you actually need life insurance. Even though life insurance is essential and beneficial, it may not be extremely necessary for some people. For instance, if you do not have any dependents, then you may go on without purchasing this kind of insurance; but if you have children and family members who depend on you, you should get one. Likewise, you may not need life insurance if you have enough assets to cover your debts and funeral expenses, including the fees of your estate lawyer. Otherwise, you need to be insured if you have significant debts that outweigh your assets. A life insurance policy will guarantee that your dependents are well taken care of after you have passed away. Identifying your risks is also crucial when buying life insurance. You should understand what your exposure is as well as how great such exposure is. You should also factor in the timing of these risks. In general, life insurance companies favor clients who have fewer risks. So if you want to have cheaper premiums, you should lead a good and healthy lifestyle. Keep in mind that your age is also an essential factor to consider. The younger you are, the cheaper your premiums can be. This is because you tend to be healthier and less likely to die when you are young. So if you want to be able to qualify for a life insurance policy easily, you should apply for one while you are still young and healthy. When purchasing life insurance in South Africa, it is also important to know about the different types. You should be aware of the pros and cons that come with each of these insurance options. Basically, you can choose from term, whole, universal, and cash value life insurance. Find out which one of these can benefit your beneficiaries the most. Do not forget to factor in your spending habits. You may use a software program to help you keep track of your expenses as well as download banking information. You should also know how much you have in debts. If you have debts, you need to purchase more life insurance in order to pay them off. Of course, you should determine how much money you save per month. You should also determine your long-term saving goals. Consider how much money you need for your retirement, for the education of your children, etc. If you have sufficient savings, you can have less term life insurance. Furthermore, you should consider your assets and liabilities. Take note that you need less life insurance as your net worth increases. This is why you should also do your best to make your assets grow while you are still alive. ← I Need Life Insurance – What Should I Do?